The original Citroën Rosalie was a light-weight racing car that established a succession of records at the Montlhéry racing circuit. More generally the Rosalie was a range of three models/sizes of automobile that comprised the core of Citroën's model range between 1932 and 1938. The three models were originally designated respectively the 8CV, the 10CV and the 15CV, the numbers defining the cars' fiscal horsepower which in turn defined the approximate engine size of each model. 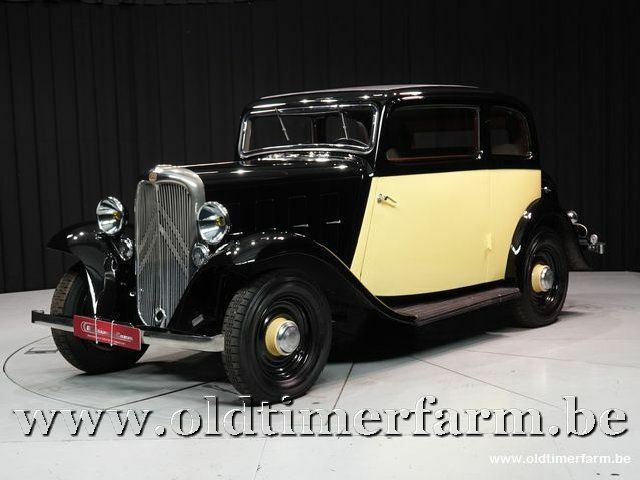 After the introduction of the new Traction Avant, the lineup was modified and at the 1934 Paris Salon the two smaller models became the 7UA and the 11UA, now with the overhead-valve engines from the Traction. At introduction, the larger Rosalies replaced the Citroëns C4 and C6, themselves launched respectively in 1928 and 1929. They also represented a move upmarket for the entire business, since during the early 1930s Citroën appeared for a time to lose interest in the smaller cars which had filled their dealerships during the impoverished 1920s. The Rosalies, especially the larger 15CV versions, were offered with range of different body types: this was normal practice at the time. Though not radical in terms of subsequent Citroën launches, the look of the Rosalies was significantly more modern than that of the earlier C4 and C6 models. However, the real revolution at Citroën during these years involved production technology. André Citroën had drawn practical inspiration from his 1912 visit to Henry Ford's then new Highland Park Ford Plant in Michigan, and in 1932 Citroën was still a European leader in the application of assembly line manufacturing. Rosalies were competitively but apparently profitably priced. In 1934 all the Rosalies received a facelift which involved applying a gently raked angle to the front grill. The post facelift versions that appeared were known as the NH versions, or also as the B-series. NH stood for "Nouvel Habillage" (literally "New Clothing"). 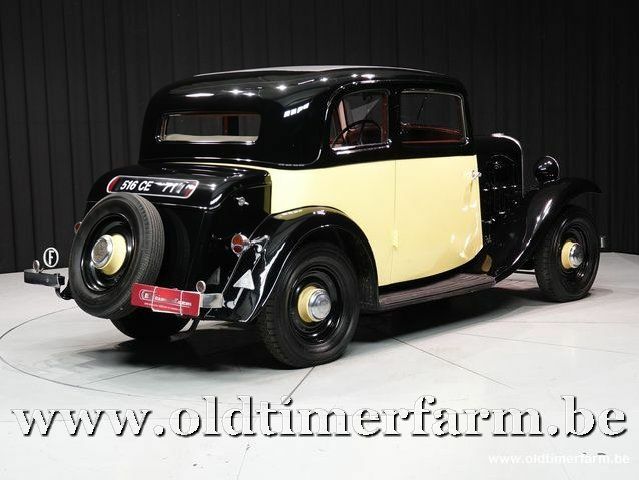 1934 was also the year that saw the introduction of the Rosalie's mould-shattering successor, the front-wheel-drive semi-monocoque Citroën Traction Avant. The Traction endured a troubled and prolonged birth process, however, and was part of an ambitious investment programme which involved, also in 1934, the bankruptcy of the business, and its acquisition by Citroën's principal creditor. The patron himself died in 1935. In this troubled situation, availability of the larger Rosalies (although re-engined with a turned-around version of the new Traction's OHV four-cylinder engines) continued till 1938: it is only through the distorting prism of subsequent events that its reputation has been diminished when set against the technical brilliance of its successor. The smallest Rosalie, like the Citroën Type B of the first half of the 1920s, featured a four-cylinder motor of 1,452 cc, driving the rear wheels. The three-speed gear box featured synchromesh on the two higher ranges, and braking was provided by drum brakes on all four wheels. The car was 4.27 metres (168.1 in) long and offered a maximum speed of 90 km/h (approximately 56 mph). All in all, 88,090 four-cylinder and 7,230 six-cylinder Rosalies were built (38,840 small 7/8's, and 49,250 bigger 10/11's). Of the total produced 8,400 were of the short-lived, facelifted B-series (NH) and around 15,000 were of the latter "MI" cars.